Chief Whitetail Instagram grooves is a transcription collection of Taylor Dearman’s (a.k.a @chief_whitetail) most popular Instagram compositions. 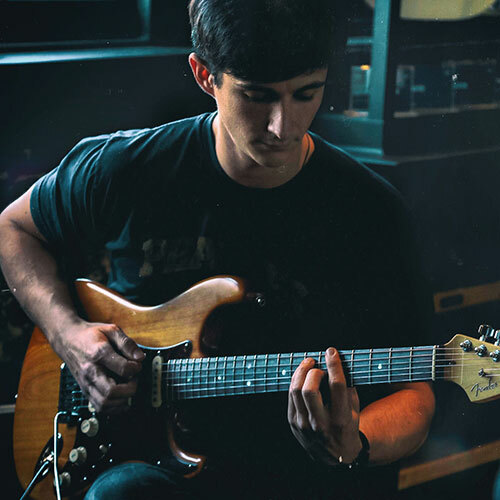 Accessible and beneficial to a variety of skill levels, each piece has been carefully selected to provide the opportunity to develop techniques prevalent in Taylor’s playing and to gain insight into his straight-forward approach to creating melodic pieces. If you’re looking to add some ambient, neo-soul grooves to your musical repertoire, this is for you. Taylor Dearman is a Chattanooga-based engineer, guitarist and educator. Laced with elements of soul, blues and gospel, his distinctive sound is reflective of his early years growing up in South Mississippi. Taylor’s melody-driven compositions and etudes can be viewed on his Instagram page.